Happy Valentine’s Day! Guess what. 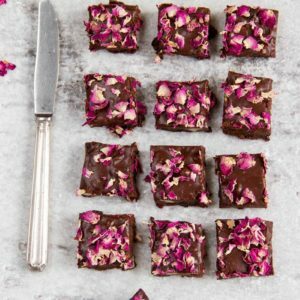 Favouring a plant-based diet (with lots of yummy raw foods) doesn’t mean that you miss out on yummy treats such as chocolate. 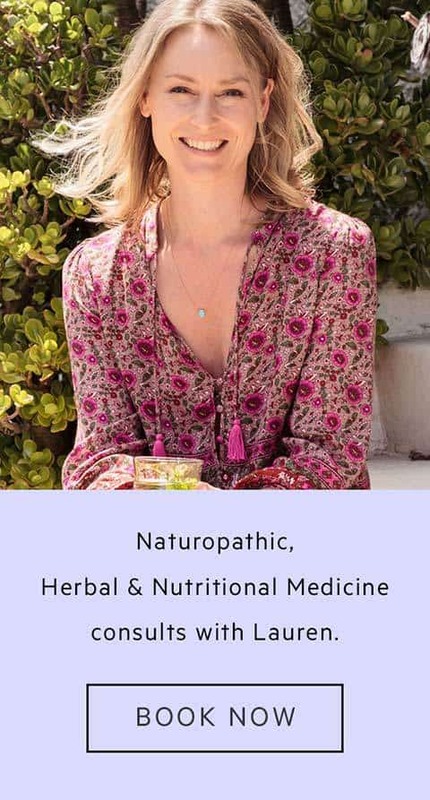 In fact, armed with the right know-how, you can make your lover the healthiest, highest vibrational, healing and potent aphrodisiac chocolate they could possibly get their hands on. Cacao butter is the natural fat that is pressed out from the cacao bean. It smells divine. Try using it as daily moisturiser, or for a delicious massage. Cacao butter is rich in essential fatty acids Omega-6 and the monounsaturated Omega-9. So it helps your brain function, lubricates the skin and hair, and looks after the heart. It also contains stearic acid – a fat that doesn’t affect your blood cholesterol levels. 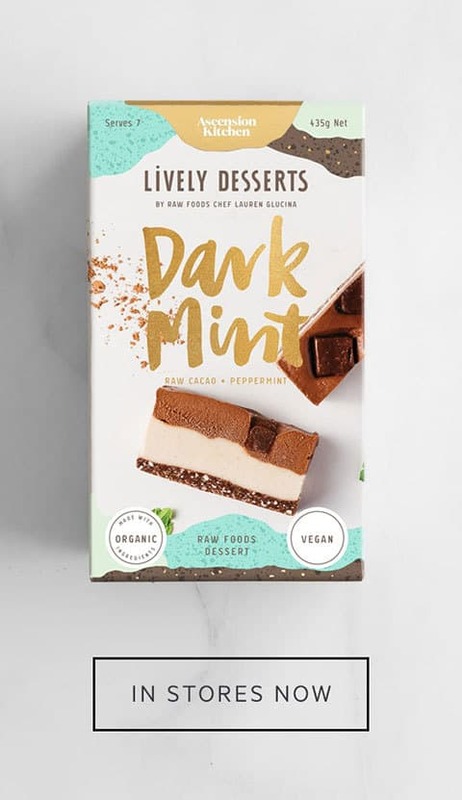 You can also use it as a lip balm as its very high in Vitamin E.
Cacao Powder is made by processing raw cacao beans, with the fat (cacao butter) removed. It is the most antioxidant rich food on the planet and is full of minerals such as calcium, chromium, iron, magnesium (for balancing brain chemistry), manganese (for oxygenating the blood) potassium, zinc, and sulfur (for healthy hair and nails). 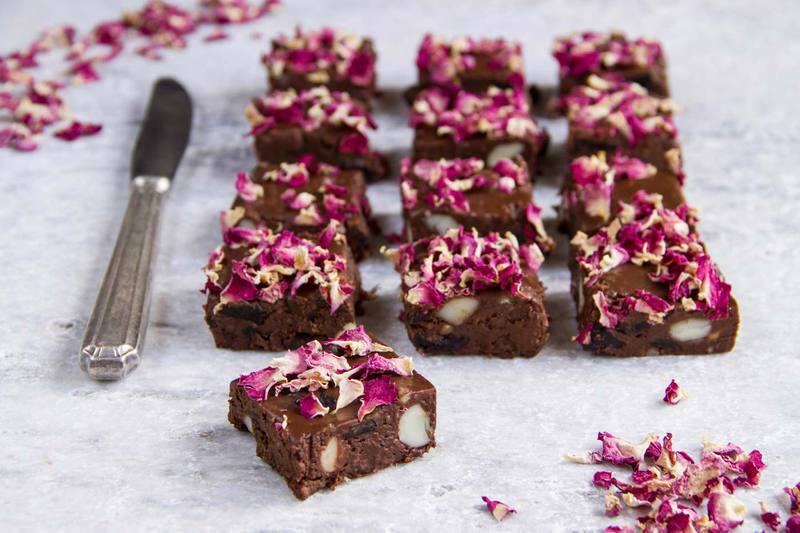 But for V day, we want to eat it for the feel-good hormones…endorphins, phenylethylamine and anandamide make us feel happy, elated and…in the mood! Ps. This recipe looks easy to make. And I guess it is. 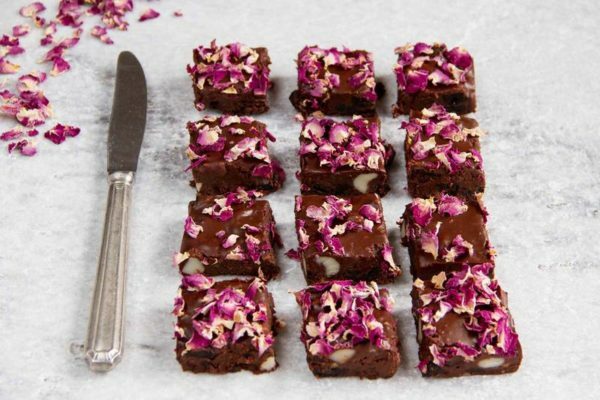 But that still didn’t stop me from covering the entire kitchen in clouds of cacao powder and rose petal confetti. 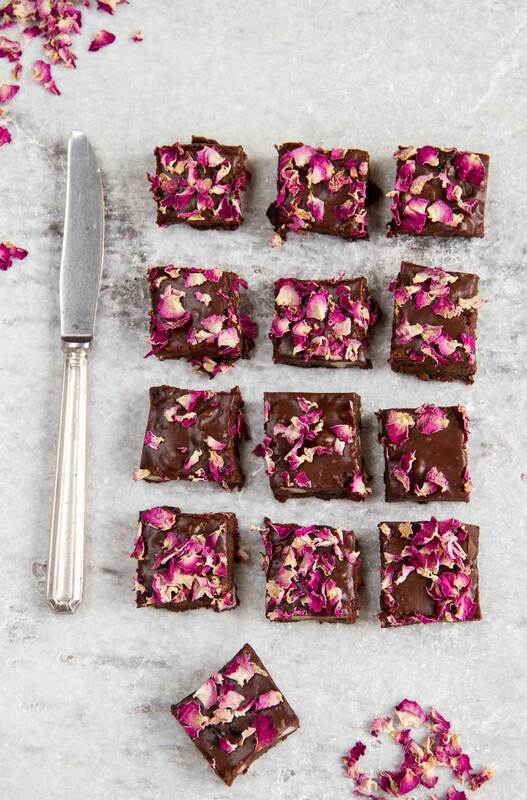 This raw vegan Rosey Rocky Road is like a love-spell in a slice. It totally has magic love powers. Fills an 8 inch square cake tin.